Sep 26, 2011 by Jason Newcomb Comments Off Posted In: Say What?! 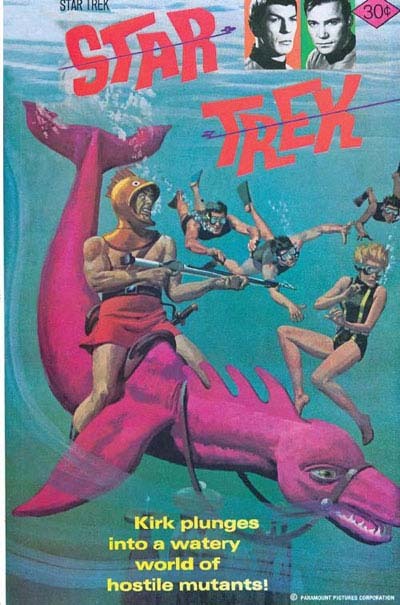 The menacing harpoon doesn’t distract from the fact that you are riding a pink dinosaur fish and wearing a skirt. Say What?! – Comic book covers you won’t believe exist… Here Wonder Woman is riding a large, multi-colored "rocket". Are those motion lines or is that "rocket" vibrating?